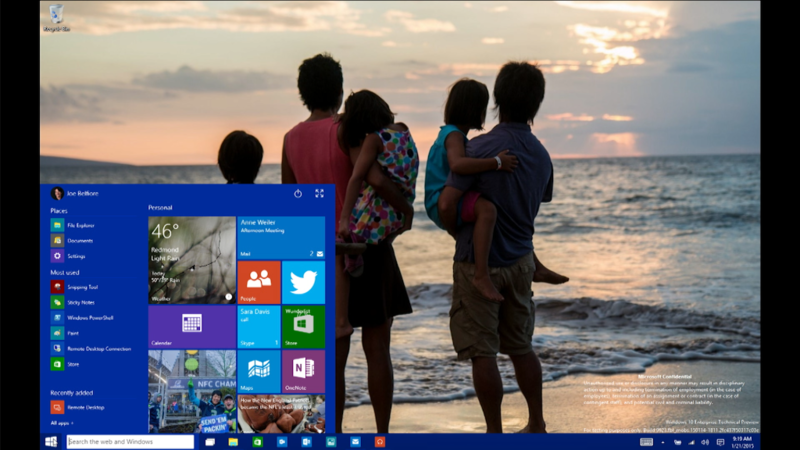 1 billion Windows 10 PCs by 2017? Yes, really. Microsoft has an ambitious goal for Windows 10: The company believes that it can install Windows 10 in 1 billion devices by 2017. It sounds insane. But a study of IT professionals released Wednesday suggests that Microsoft should be able to hit that target with ease. Spiceworks, an online network of millions of IT professionals, found that nearly three-quarters of businesses plan on installing Windows 10 within two years of the software's July 29, 2015, release. Already 60% of IT departments have tested the new Microsoft operating system, and 40% plan to start rolling out Windows 10 this year. That's in stark contrast to the largely failed Windows 8 release from 2012. Just 18% of companies have deployed Windows 8 or Windows 8.1 on their PCs -- the tile-based operating system confused users and never worked quite right for people running Windows on a desktop with keyboards and mice. If Spiceworks' survey is correct, and 73% of businesses adopt Windows 10 by 2017, that would make Windows 10 the most quickly deployed version of Windows in history. Despite its current popularity, just 60% of businesses installed Windows 7 within 24 months of its launch, according to Spiceworks. "Microsoft's stated goal of 1 billion Windows 10 devices in two to three years is achievable, and strong interest from IT buyers bodes well for the entire Windows 10 ecosystem," said Sanjay Castelino, Spiceworks' marketing chief. The reason why businesses are likely to show support for Windows 10 is two-fold: There's a lot of pent-up demand, and Windows 10 solves a lot of the problems that previous versions of Windows exhibited. Windows 10 also has features that IT professionals are already embracing. The return of the Start button is the biggest hit, and enhanced security features help, too. Windows 10 features a new tool called "Windows Hello," a biometric password that allows users to log in with their fingerprint, iris scan or face. And, most importantly, Windows 10 is being offered as a free upgrade for all Windows 7 and Windows 8 users. Windows currently powers 1.5 billion PCs around the world, so Microsoft will have to convert two-thirds of those PCs to Windows 10 to reach its goal. It's ambitious, but if IT professionals are any indication, Microsoft should be able to make Windows 10 the most successful operating system launch of all time.